An Engagement is one of the most beautiful moments ;you can share with your partner, as you decide that from this moment forward you know you are both committed and excited for all of the endless and loving memories you will be making for the rest of your lives, starting with this moment now, the engagement the first chapter of your whole new world. Arnulfo visiting from Texas decided that it would be the high roller at the Linq. We were able to capture memories that will last this couple their lifetime with the beautiful lite up night time sky of Las Vegas! As you can see the amazing weather brought about many smiles, but the smile that lit up Ali's face when Tyler proposed really outdoes them all! Following up with locations around Las Vegas would be the Grand Canyon, and what could be more romantic than a helicopter ride? Looking out over the desert surrounded by love in the air, Dillion proposed. They were engaged and we captured some breathtaking views of the couples helicopter ride surprise! Another one of our favorite engagements would have to be the classic "vacation scenery tour." We have followed many couples around the Las Vegas strip as they saw everything from the Welcome to Las Vegas sign, to the Bellagio Water Fountains. All these couples had one thing one thing to do, get down on one knee and ask that special person the question "will you marry me?" It is such a joy to capture surprise and tears. We LOVE what we do! 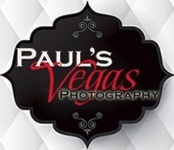 These are just a few of the amazing memories that we have had the pleasure of capturing in and around Las Vegas! We would love to be there to capture and share these unforgettable moments with you. Contact us today to schedule your engagement shoot with us!